This year, our annual talent show was one of the highlights for our school community. It was a fun, community building event for our students, families and staff, as well as a PTA fundraiser. 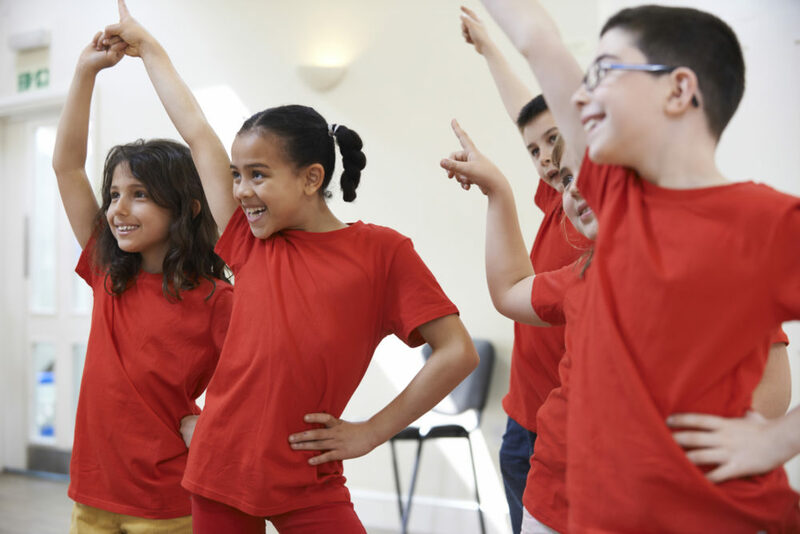 Since we rehearsed after school twice a week for approximately half of the school year, the talent show also served as an after-school program for the participating children. We started planning early, meeting with the principal in September to lock down some possible dates for the show in May. I recruited 6 adult volunteers to help out with the program, including two staff members, the parent coordinator and pre-K social worker. In the beginning of January, we sent out permission slips, which included the date of the auditions, the rehearsal schedule (every Tuesday and Thursday from 3:30 to 4:30 p.m. until the date of the show), and a tear-off portion for parents to sign and return to the teachers (see below). In the beginning of February we held auditions for the students who had returned permission forms. All of the children who auditioned were invited to participate in the program and the show. We ended up with a group of 40+ performers, from pre-kindergarten through 5th grade, working with 11 adults. Teamwork and respect for one other were themes we emphasized throughout the process. Besides creating a fun activity for the kids, we wanted to ensure that they grew from the experience and felt a sense of success afterwards, so we were very structured in our approach. We started by laying out some rules, and had each child sign a Rules of Behavior contract (see below). Teamwork and respect for one other were themes we emphasized throughout the process. The adults worked with the children to develop the singing and dancing acts, and most numbers were group performances, with children performing in multiple numbers. It was a true community effort. Over the months, the adult volunteers and kids worked together to plan and choreograph 17 numbers for the show. We had a variety of singing, and singing plus dancing acts (most of which were group acts) including, a Monster High song and dance, an acapella number, an all-girls song and dance, step dancing, an act that included a teacher and our principal, and a group tribute song to the parents. We also included a fashion show with kids dressed up in outfits representing countries all over the world. The show itself was a great success. The kids had a blast and were extremely proud of themselves and what they had accomplished together. The standing-room-only audience loved it. And the crowd went wild when the principal came onstage, hat on, and joined in the Cowboy Dance! As a result of their hard work, the kids were asked to perform again at the 5th grade graduation and the District 7 Literary Fair. And our music teacher was so impressed that she incorporated some of our numbers into her spring concert. We also raised over $200 that we contributed to the 5th grade end of year fund. Although we chose to make admission free, we set up tables and sold water, granola bars, popcorn, balloons, glow sticks, P.S. 277 patches, and the same masks that the step dancers wore during their act. As a service to the parents, we also had a table where they could obtain their children’s ARIS numbers from another staff volunteer. Increase staff attendance at the show by promoting the show to them and setting aside a reserved section of seats.